I followed Jenny Dean's directions in Wild Color and simmered an ounce of annatto seeds in water for an hour. I cooled the brew off with more water and then added the skein of almost dry yarn. Not wetting out the fiber before adding it to the dye bath means the dye doesn't penetrate the yarn as quickly or evenly so more of the pigment settles on the surface and the final color is more uneven--that's my theory, anyway. I brought the mixture to a simmer and let it stay there for ten minutes before turning off the heat, covering the pot and letting the yarn steep for about 36 hours until I thought of it again. I knew from Wild Color and other sources on natural dyeing that the longer the yarn sits in the bath the more pigment it will absorb, but I was still surprised to see that the bath was almost clear when I lifted out this skein. That was good because I had a lot less rinsing to do and all the water I've been using (wasting) to rinse yarn has bothered me. 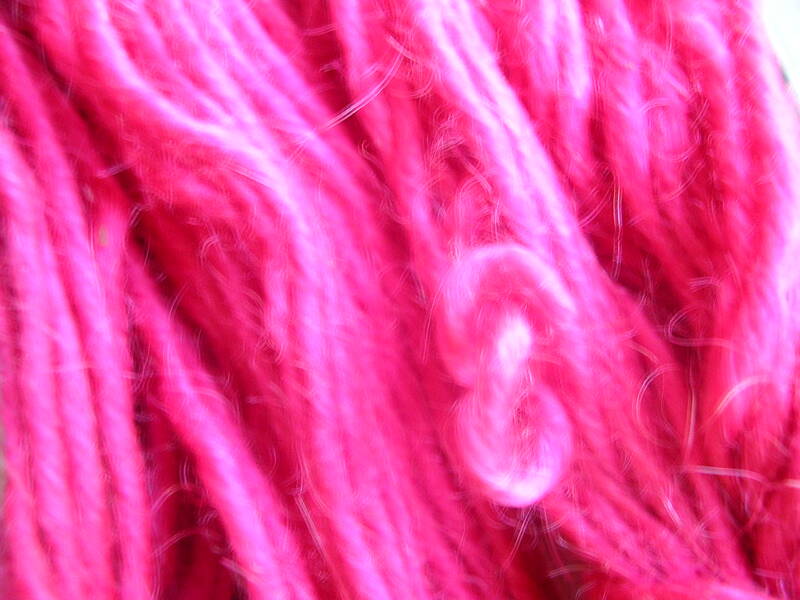 I'll make a greater effort from now on to use less dyestuff and let yarns sit in the dyepot longer. I'll get the color I want and not use as much water. I'm not getting the color I want from my camera, though. 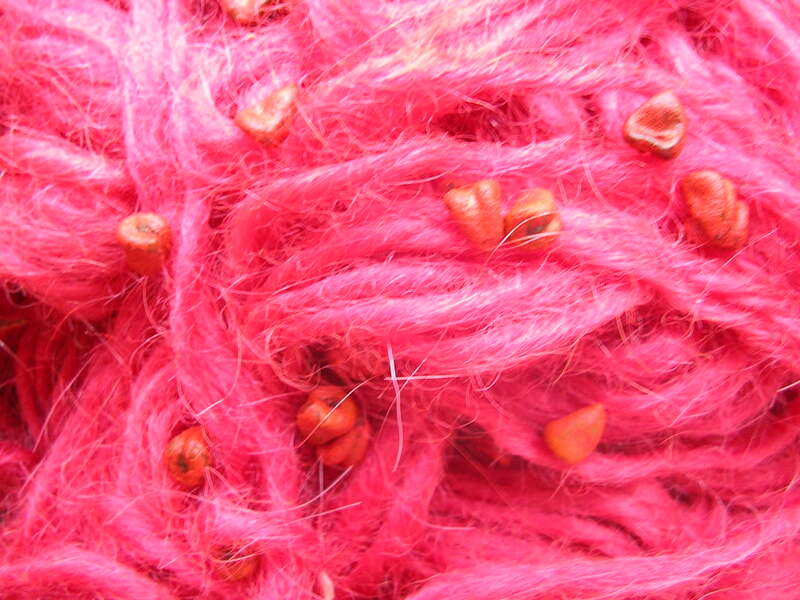 There's a lot more depth and variation in the yarns than these photos show.